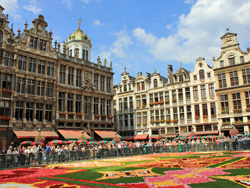 Often called the most beautiful square in the world, the Grand Place is a jewel of the Brabantine Renaissance. 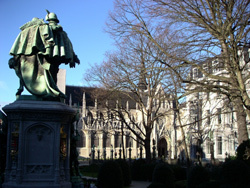 The Gothic town hall is decorated with over 150 statues of historical figures. 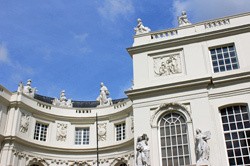 Built over the old palace of the Dukes of Brabant, the Neoclassical Royal Palace is lavishly decorated and has a longer facade than Buckingham Palace in London. 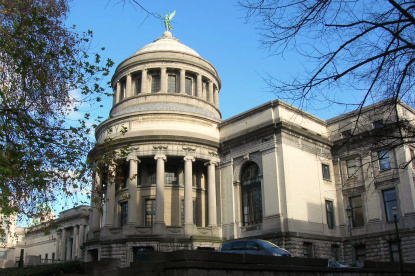 Built by Leopold II and inspired by ancient Egyptian temples, this 26,000 m² Palace of Justice is one of the largest pre-20th century edifices on Earth. 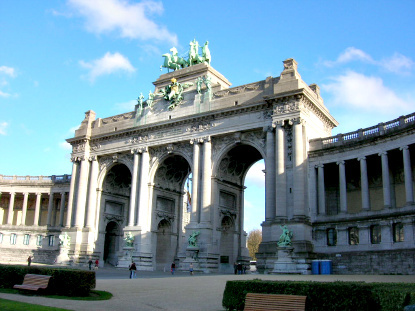 Laid in 1880 to commemorate the 50-year anniversary of the independence of Belgium, the Jubilee Park is endowed with the widest triumphal arch in the world. 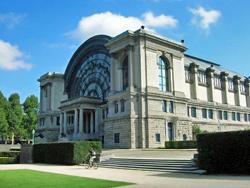 It is home to three of Brussels' top museums. 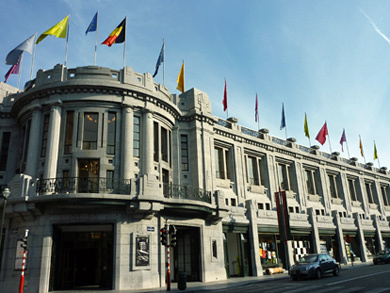 The Grand Sablon is Belgium's prime location for antique shopping. 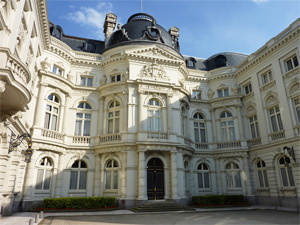 The The adjacent Petit Sablon square faces Egmont Palace, former residence of the Dukes and Princes of Arenberg, and now seat of the Foreign Ministry. 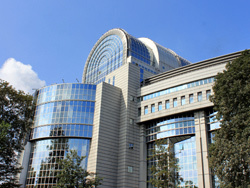 It is in this enormous, glitzy, postmodern building that the bulk of European legislation is voted. The locals dubbed it the "Caprice des Dieux" (whim of the gods), both for its exorbitant cost and its shape reminding of the French cheese of the same name. 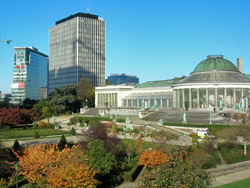 At the foot of the iconic are some of Brussels' most popular attractions with children: Mini-Europe, the Océade water attraction park, and Kinepolis, Belgium's largest cinema complex. 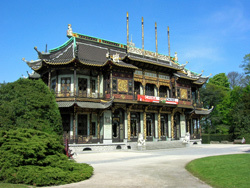 Part of the Castle of Laeken, official residence of the Belgian royal family, the greenhouses (only open in spring) are among the largest in Europe. 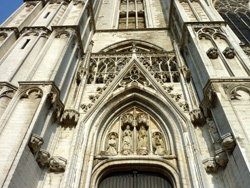 Brussels's elegant Gothic cathedral features some impressive stained glass windows from the 16th and 17th centuries. 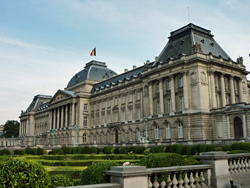 Facing the Royal Palace, this French-style classical park is lined with all the top Belgian institutions (parliament, top ministries), as well as the seat of Fortis Bank and the US embassy. 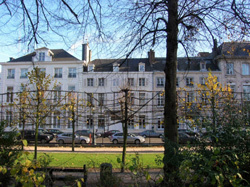 Behind the Royal Palace, this white neoclassical square is home to the Royal Museums of Fine Arts, the Magritte Museum, and the royal church of St. James-on-Coudenberg. 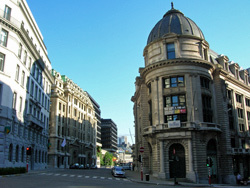 Linking the Central Station to Royal Square, this street is famous for the Gothic and Art Nouveau buildings (notably the Old England building and Horta's Centre for Fine Arts). Brussels' world famous peeing boy statue s dressed in a different costume for every special event. 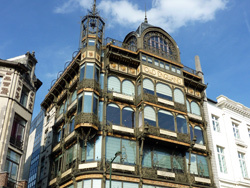 His collection of 700+ costumes can be seen at the nearby Brussels City Museum. 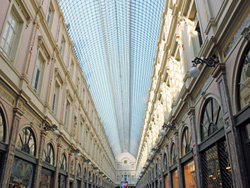 Inspired by the Uffizi Gallery in Florence, the galleries opened in 1847 as Europe's first shopping arcades. 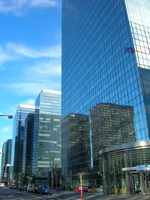 It is a popular place to buy chocolate or luxury goods, or just to have coffee. 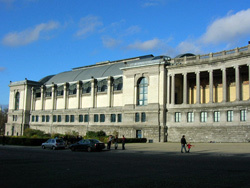 A neoclassical square dominated by the Congress Column. Taller than the Vendôme Column in Paris or Nelson's Column in London, the Congress Column rises above the Tomb of the Unknown Soldier. A short, hilly street between Central Station and the Royal Park. 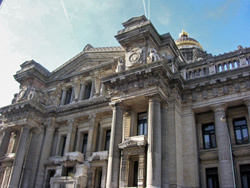 It is filled with massive buildings in the Beaux-Arts style from the Belle Epoque - now occupied mostly by banks and multinational companies. 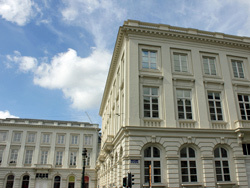 Founded in 1826, this green isle in central Brussels runs from Rogier Square to Royal Street. 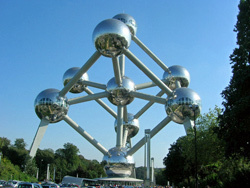 It is renowned for its bronze sculptures made by 43 Belgian artists. 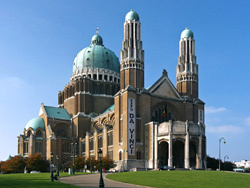 This odd basilica blending neo-Gothic and Art Deco styles is one of the largest churches in the world. Click on the title to access the official website, and on the picture to reach the neighbourhood description on Eupedia. 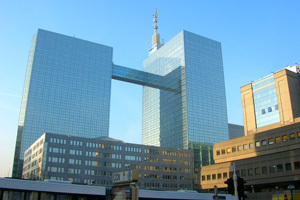 Brussels' central location, and the small size of Belgium mean that all places in Belgium could be visited on a day trip from the capital. 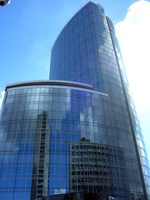 You could even plan for several destinations if you have a car. 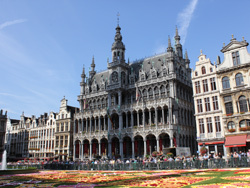 There are however plenty of places in the immediate vicinity of Brussels (within 20 km), which do not require a full day trip, if you have just an hour or two to kill. The charming town of Leuven was the first capital of Brabant (before Brussels) and is home to the oldest Catholic university in the world. 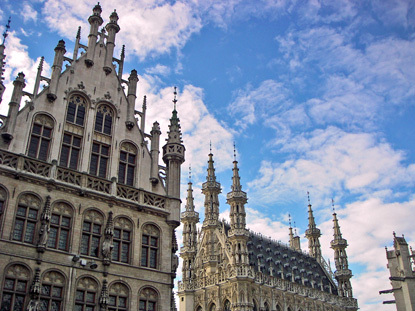 Leuven's townhall is possibly the most exquisite in Belgium, if not in all Europe. 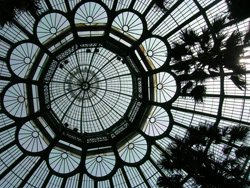 The National Botanic Garden of Belgium in Meise has over 18,000 species of plants laid on 92 ha. Standing in the middle of the garden, Bouchout Castle was the residence of the deposed Empress of Mexico between 1867 and 1927. 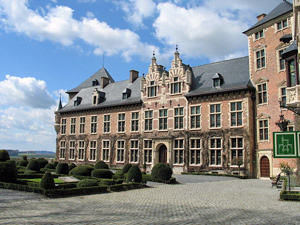 Gaasbeek Castle is an imposing medieval and Renaissance castle that once belonged to the Count of Egmont, after whom Beethoven's famous Overture is named. 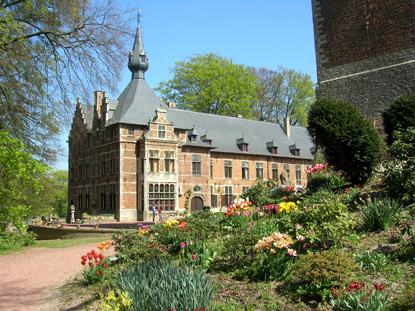 The tulip gardens of Groot-Bijgaarden Castle are like a small-scale Flemish version of Holland's Keukenhof Gardens. 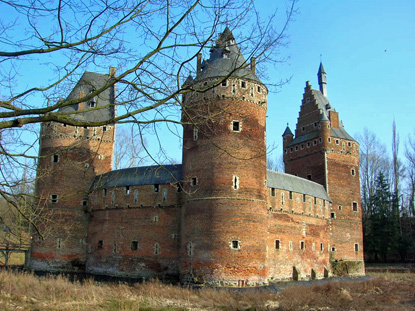 The delightful Renaissance castle cannot be visited though. 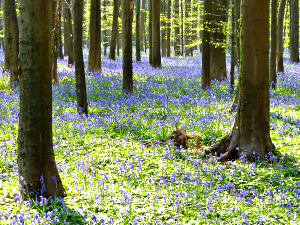 Every spring, Halle's Wood is covered by a carpet of bluebell flowers, one of the few of its kinds in continental Europe. 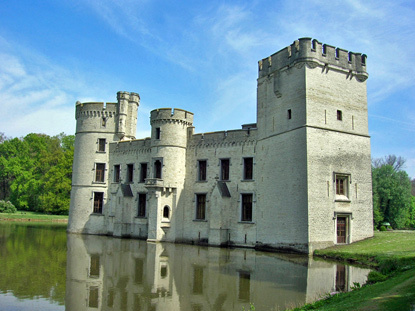 The 13th-century Castle of Beersel is one of the finest examples of moated medieval castle in Flanders. 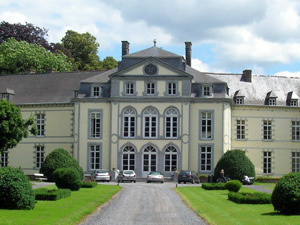 Bois-Seigneur-Isaac Castle has been the home of the Counts Snoy et d'Oppuers for the last 200 years, whose most illustrious member signed the Treaty of Rome (1957) for Belgium. 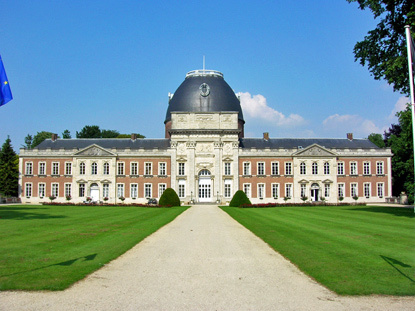 The castle-abbey of Hélécine is now used as the provincial domain of Walloon Brabant and often hosts hot air balloon shows. 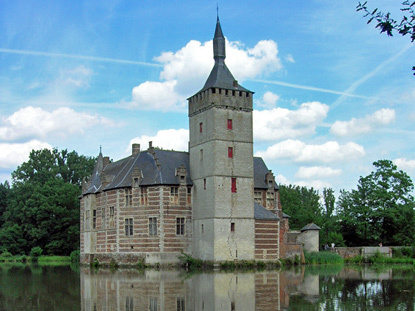 Built on a lake, the half-ruined Flemish Renaissance of Horst is said to be haunted by a former lord who comes back everyday at midnight in a carriage pulled by six wild horses. 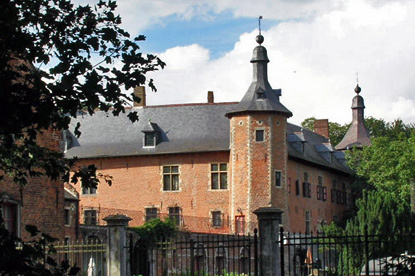 The Renaissance Castle of Rixensart is one of the main residences of the Princes of Mérode. 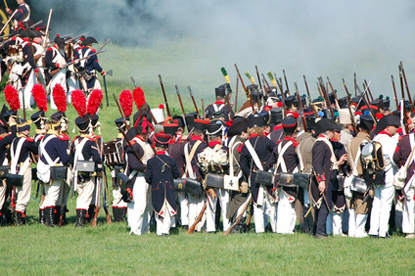 Waterloo was the site of the battle that put an end to Napoleon's ambitions. 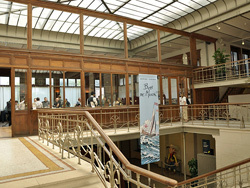 It now has several museums retracing the events. 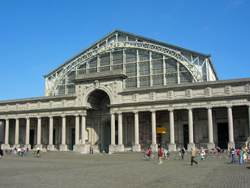 You could combine a visit to Waterloo and Beersel, both to the south-west of Brussels, on the same day, and another to Leuven and Horst, to the north-east, on another. 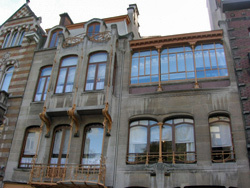 For something quite different, you could visit the House of the Future in Vilvoorde, just north of Laeken.